Our extreme cold weather can wreak havoc on our daily living. Near the top of that list is the nuisance of ice and condensation build up on our windows. We’re here to tell you that it’s something to attend to but not that uncommon in freezing temperatures. With extreme cold outside temperatures, beads of moisture or condensation can accumulate on the inside glazing of your windows. 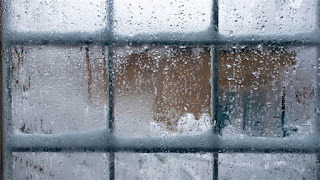 Then a layer of frost or ice develops on the glass or in the corners near the window frame, it’s natural to worry. What are the causes, and if your windows have this problem, what can be done? Foggy Windows? Condensation or A Broken Window Seal. As soon as fall breaks toward winter and outside temperatures drop, some windows in your home may appear a bit cloudy. Depending on where the fog is occurring, the problem may be as simple as excess moisture developing due to the difference in indoor and outdoor temperature or it might be more serious because the window seal is failing. Condensation on glass surfaces happens, for example, on a hot humid day when moisture may accumulate on the exterior side of your windows. 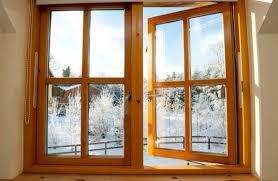 Likewise, on a very cold day, moisture can build up on the interior side of your windows. 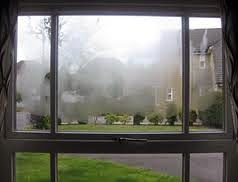 Condensation on your windows can be worse when the outside temperature is below the dew point of the indoor air. Water or frost appears when warm moist air comes in contact with colder dry air. 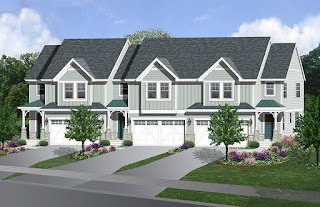 If your windows are in need of replacement and your house, condo, townhouse or apartment is part of a homeowners’ association (HOA) there are a few things you’ll want to consider. An HOA will typically have a set of documents governing repairs, upgrades or modifications made to your residence. These are the Covenants, Conditions and Restrictions known as the CC&Rs. Be sure to read these documents for specifications related to replacing your windows. Using these guidelines, will save you headaches in the long run. The success of HGTV is that it stretches our imaginations. This year homes have featured skylights that brighten the interior space. For years now HGTV sponsors a contest and selects one home that best represents the design and building trends for the year. 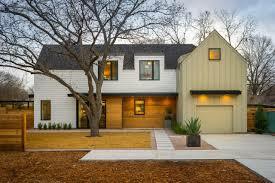 This year’s 2015 Smart Home features a modern farmhouse in the very hip Austin, Texas. It’s “modern” in that it’s a fresh take on the classic traditional farmhouse style. The architect’s use of skylights to reimagine the space caught my attention as we slip into the annual winter darkness. In the last decade, builders installed recessed lighting in ceilings in an attempt to brighten the dark corners of a home. Now with technological advances like solar power, built in shades, and always clean “Neat®” coated glass, VELUX® skylights are replacing artificial lighting with natural lighting. As the winter turns the skies darker, windows barely capture light depending on the time of day, whereas skylights provide balanced daylight that fills even remote corners of a room. Stuck Inside all Winter Without Fresh Air? Hard to Open Windows. One might expect old windows to become stuck or hard to open, but it’s quite a different thing when it happens to new windows. Most people would agree that newer windows should glide open and shut. Then again, most people expect to clean and maintain their car from the first day they drive it home - through the life of the car. Like cars, windows are finely engineered, rely on moving parts, withstand extreme weather, and are built to last a long time. Therefore, window owners who appreciate a smooth ride on the road will appreciate how smoothly a well-maintained window will operate, year after year. Care and maintenance guides are available from all of the major window brands including specific recommendations by model or type of material. Woodland Windows and Doors major brands, Marvin, Andersen and Pella provide detailed instructions on their websites. Generally speaking and in simple terms, most manufacturers recommend the following ongoing maintenance. Weather-strip is in good condition and properly attached to surfaces. Interior and exterior window finish is maintained so that the window material isn’t exposed. Maintaining wood, painted wood, aluminum, vinyl, or steel requires different upkeep according to the individual product guides. Trim off any old loose exterior caulking around the outer edges of the window frame and seal any gaps with a high quality caulk. Tighten any exposed hardware screws securely. Check that all hardware (locks, opening mechanisms, hinges etc. ), sills and tracks are clean of any sand, dirt or dust and operate smoothly. If required, lubricate hinges and moving parts with a dry silicone spray. Make sure the weep holes are clear of dirt and open. All glass can be cleaned after wiping loose debris from the surface with a soft, dry cloth. Maintain the beauty and performance of your window hardware with periodic cleaning. 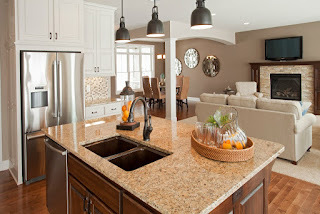 White paint finish, stone, antique or bright brass, wash hardware using a mild detergent and a soft cloth. Polished or brushed chrome, wash hardware using a soft cloth and polish using a commercially available chrome polish according to manufacturers’ instruction. Oil rubbed or distressed bronze are ‘living finishes’ with no protective coating. Occasionally, apply light mechanic oil to deepen the color and sheen of the hardware. Following this maintenance routine as needed or annually will go a long way to preserve your window performance and avoid costly repairs. However, even the best maintained windows need repair. Common repairs to double-hung windows. If it is a wood window, the wood may be swelling. 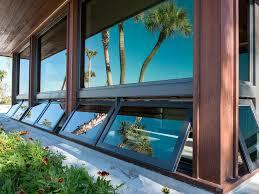 With other types of windows, there may be dirt, dust, and debris built up or a mechanism has failed. It’s not uncommon for mechanisms such as tension springs to fail in as little as five years, making windows difficult to operate. These kinds of repairs are straightforward, but that doesn’t mean quick or simple, particularly if you’ve never seen it done before. 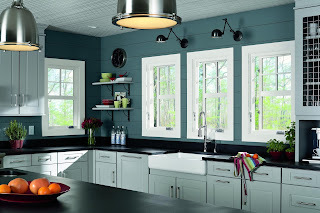 Woodland recommends cleaning and maintaining your double-hung windows with these easy steps. In the first case where the wood swells when the temperature or humidity changes, the fix is to plane or sand down the window sashes and lubricate the inside of the window frame jambs or channel guides. If a dirty window frame is the problem, clean the window frames and spray with a dry silicone spray lubricant. Lastly, if the window is still difficult to open or close, the problem is likely to be a faulty mechanism. 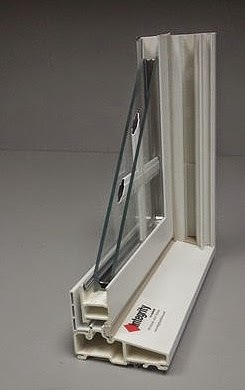 Typically debris is built up in the window track or the moving parts need to be lubricated or replaced. Another common cause of problems could be stripped or loose screws causing friction between the window sash and frame. 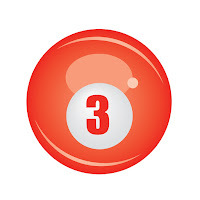 You can check for this by removing the sash from your awning or casement windows. Woodland's customers know they can call if their new windows don't operate smoothly and Woodland will take care of problems after installation, but everyone should know that a little maintenance goes a long way. For more about cleaning and maintaining your casement windows. Check out how to clean a Marvin Casement Window. Remember, a little fresh air goes a long way to get us through the winter - don't get stuck inside. Have you ever heard the term slippery slope? It means an idea or course of action, which will inevitably lead to something unacceptable, wrong or disastrous. At Woodland Windows and Doors, we think window and door installations done improperly are like a slippery slope – once they start heading downhill they keep going downhill. There are some things that as a business, you just have invest in, in order to ensure the job is done right. We at Woodland think that installation is one of those things. How hard can it be to install windows and doors? Tricky for a professional who's learned the ins and outs - largely because of all the things that can go wrong. Woodland recognized years ago that the surest way to fail was to leave the fate of our customer’s job in the hands of others. We’ve experienced the slippery slope first hand such as, when a few windows arrive defective, but it goes unnoticed until they’re put into the window opening or a second story window requires special equipment to reach it, which wasn’t planned for. We know how quickly a job can go downhill and we know that the surest way to deliver an expert job is to control every aspect of it with trained people who are committed to a perfect outcome. The stories about botched installations, and even worse service after the problem, are legion among families, friends, neighbors and strangers who post their stories on the Internet. The Installers didn’t show up when they were scheduled. I called the store where I bought the windows and the job manager apologized for the delay, but said he couldn’t locate the sub-contracted installers and gave me their cell phone number to keep trying to reach them myself. They arrived six hours later and weren’t able to finish the job in the one day that had been quoted. I had to rearrange my plans to accommodate them to come back the next day. Yep, you guessed it; they arrived an hour and a half later than the scheduled time. The installers didn’t clean up as promised. They clearly didn't work for the company that we'd bought the windows from and it took two days, and my withholding the signed job completion form, before they returned to remove the old windows and trash – something that had been guaranteed by the salesperson. They didn’t cover the entire work area and it took me two days to clean up after them. The installers didn't carry extra tools and parts in their truck. Before applying the finishing touches to the last two of our replacement windows, the installer ran out of caulk and touch up paint to cover the nail holes in the frames. When I followed the guy back to his truck to check on his supplies, it was clear that installing windows was a side job and he wasn’t prepared for any contingencies. The installers rushed through the job. It was as though they’d underpriced their bid that at one point, I joked, that they must have another job to go to after ours. Frankly, judging from the off brand, discount warehouse, house-wrap, tape and tubes of caulk they were responsible for supplying the materials as well. The installers left without finishing the job to our satisfaction. Before the installers left I noticed on two windows the keepers (locks) were broken. 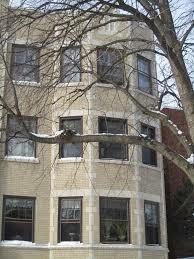 It was a typical Chicago winter and cold air was leaking in and keep in mind, we couldn’t secure the sashes. They suggested that we call the store tomorrow for replacements and left. It was a week before the new parts arrived. And so it goes, with some horrific customer service nightmares containing every possible combination of things that can go wrong. Did you hear about the house at the bottom of the hill, whose owners had to hire a qualified contractor to remove and re-install every window? 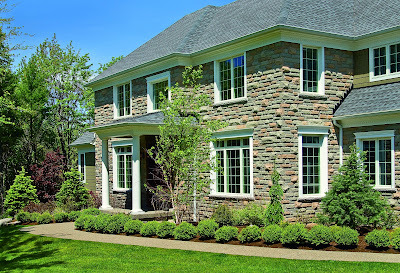 Installation, whether you are replacing your old windows or having new windows added to your home, requires careful planning, flawless execution, and superior response times to address those unforeseen problems. It’s a process that must be owned from the beginning to the end. Did the person who measured your job, check their measurements before the order was placed? Or did that person walk through the job with the installers? The best way, the only way, to achieve a flawless level of performance is to build a professional team of skilled people who don’t just show up, but who own the work down to the last keeper – if it doesn’t lock the job’s not done. We don’t use sub-contractors for window and door installation and we hope you won’t either. Is a full replacement window better than a partial window replacement? This post is intended to shed some light on this great question. 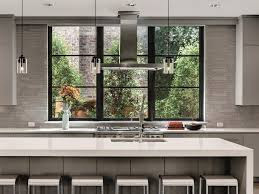 If you are planning to add some new windows to your home, and are still undecided about which option to choose, read on and learn more. A full window replacement also known as a full window installation, which involves removing the whole existing window, including the frame and replacing it with new components. In other words, full replacements involve doing away with the entire window, frame, molding, and so forth. The old frame is deteriorated or damaged beyond repair.They want to capitalize on energy efficiency by installing efficient replacement windows. There are a number of reasons to go for full-frame replacement windows. To begin with, this technique replaces the outdated window frame with something that can add curb appeal to your home. With full-frame replacement windows, all the mold and rotting problems will be taken care of. This can help to maintain the structural integrity of your home. Also, new window-frames are well insulated between the rough opening and the frames. For this reason, full replacement windows will save more energy; thus, reducing the burden of costly heating and cooling bills. Argon is one of the group eight elements in the periodic table alongside other gases like neon and krypton. Its atomic radius is 18. Argon gas has so many advantages when it comes to modern replacement windows, as well as a few downsides. To begin with, let’s look at the positive side of this gas. Argon gas improves the energy efficiency of replacement windows. Its density is higher when compared to that of oxygen, thus the argon gas between the layers of double or triple paned windows is not easily affected by air currents and drafts. The windows will consequently have a higher insulation property. This saves on energy costs. Argon gas may also have some not so great effects on your window panes. For example, it will leak out of your window after awhile. This will make it less efficient and therefore not as useful. The argon gas is also not found at higher altitudes, 2500 and above, according to researchers. Should you be living in high altitude areas, it is advisable that the dealer makes your window at that exact altitude to avoid any problems. Argon gas can never prevent transmission of rays of the sun into the room. Infrared rays will always make your furniture and drapes lose their original color over time when exposed to a lot of sunlight. 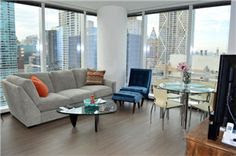 Just keep these things in mind when choosing new replacement windows for your Chicago area home.